The price is below what activist investor Elliott Management previously offered. Athenahealth has received multiple bids, according to CNBC. The prices, reportedly at $131 per share are below a previous cash bid for the healthcare software firm in an unsolicited move by Paul Singer’s Elliott Management. 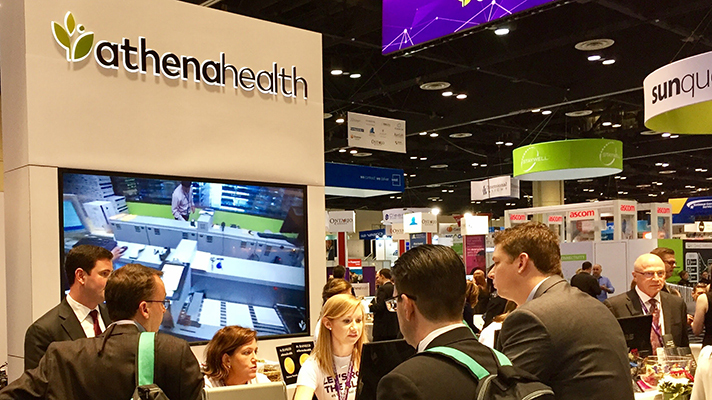 Hospital CIOs and CFOs that are either already subscribing to athenahealth’s cloud-based EHR or practice management services or considering switching to a new cloud vendor need to know where the company stands. Will it be bought by another EHR maker or taken over by activist investors looking to break it up to make a profit? Or another fate altogether? Those questions will remain unanswered until athenahealth is either acquired or the board makes up its mind to remain independent. CNBC’s report was based on anonymous sources and did not name which companies might be among the multiple bidders. Earlier this month, however, Healthcare IT News reported that activist investor Elliott Management was putting the brakes on its takeover bid, just two weeks after speculation arose that Elliott might be athenahealth’s best suitor with potential acquirer’s Cerner and UnitedHealth not interested. Elliott Management already owns 9 percent of athenahealth’s stock and offered as much as $7 billion in a buyout offer earlier this year. In June, CEO Jonathan Bush stepped down following reports of sexual misconduct and domestic abuse.